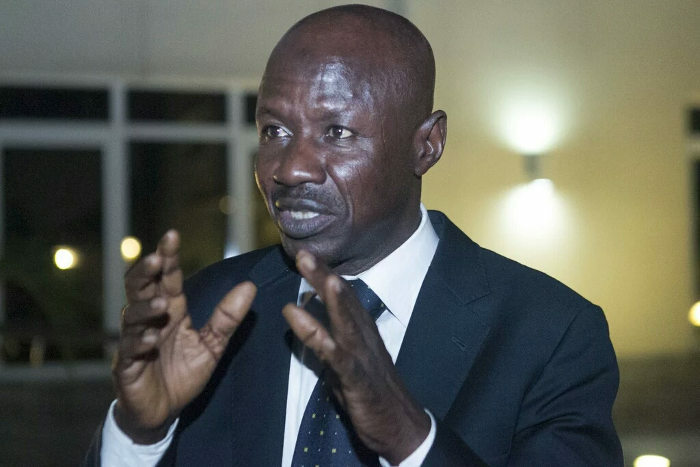 The acting chairman of the Economic and Financial Crimes Commission (EFCC), Ibrahim Magu, has called on Nigerians to join the commission in the fight against corruption. He made the call in Karu, a satellite town of the Federal Capital Territory, where he addressed residents recently. Magu, who was a resident of the town before his appointment as the acting head of the commission, made a surprise stopover at a newspaper stand, where he addressed a crowd. He appealed to residents to support the EFCC with prayers and vital information that would expose the corrupt. “We want everybody to work with us to fight corruption, that is the way to forge ahead. “To move forward in the fight against corruption, we need to work together. The commission needs your support through prayers and information,” he said. Magu assured his audience that the President Muhammadu Buhari-led admisnistation would not disappoint the rest of the world in its fight against corruption as he had demonstrated the political will to sustain the cause. “The President has been identified as a leader and champion of anti-corruption in Africa, this attests to the fight that Nigeria is fighting against corruption. “It emboldens our fight against corruption; it is encouraging, for the fact that the whole world recognised the President as an anti-corruption champion. “You and I know that he is not kidding and there is no pretence in his will to fight against corruption, there is no doubt about that,” he said. Responding on behalf of Karu residents, Emmanuel Ugwu, commended the EFCC acting chairman for bringing corruption at the federal level to almost a zero percent. Ugwu, coordinator of Change Agents for Positive Transform, as well as Karu Site and Roundabout Parliament, urged all Nigerians to participate in the fight against corruption. While calling for the promotion of Magu, he commended his efforts in the fight against corruption. “In view of the immense contribution of the EFCC boss to the development of Nigeria in the past three years, we at CAPT hereby appeal to the Police Service Commission and President Muhammadu Buhari to promote him to the rank of Commissioner of Police, as a reward for his selfless service to the country,” he said.